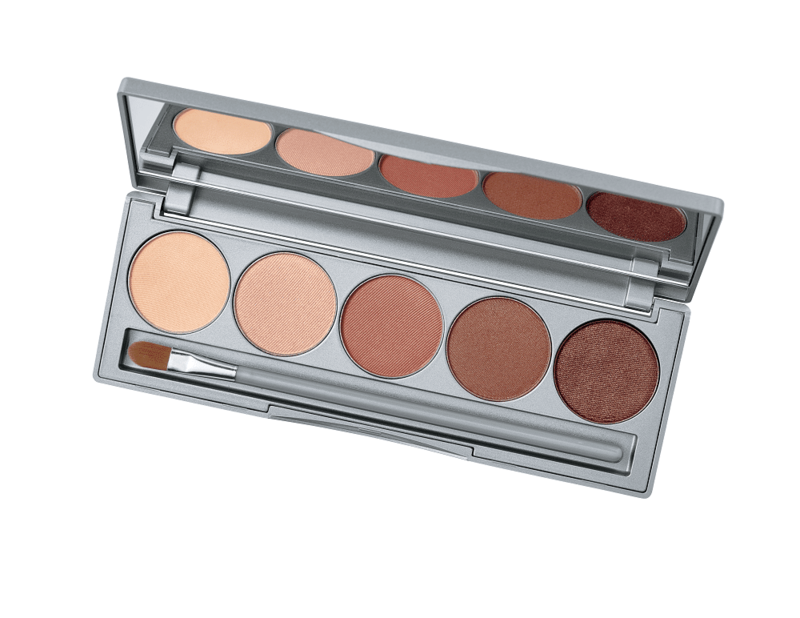 Create a gorgeous natural look with Colorescience® Everyday Color Mineral Makeup Palette. Featuring five shades that flatter all skin tones; this collection of rosy pinks and warm browns in this beauty palette enhances the face, eyes, lips and cheeks with ease. The Beauty On The Go Mineral Palette is perfect for creating a natural, flawless, everyday look. Flattering for all skin tones, this can be used on face, eyes, cheeks and lips. With five flattering shades for all skin tones, this pure mineral formula is ultra-portable and easy for on-the-go colour enhancement.